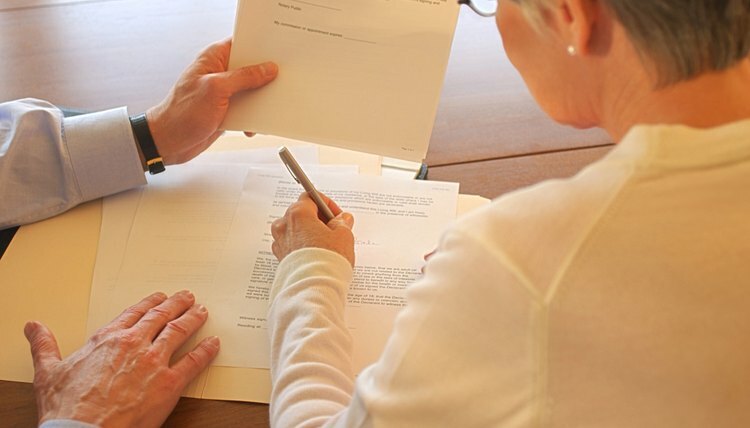 A grantor is typically the trustee of a revocable trust. A successor trustee of a revocable trust would only assume the duties of the trustee if the grantor dies or is incapacitated. However, a trustee other than the grantor must be appointed in an irrevocable trust. A successor trustee of an irrevocable trust would only assume the duties of the trustee if the trustee can no longer perform his duties or dies. The successor trustee would assume the same duties the trustee was performing at the time the successor trustee became trustee. His duties would only change upon the grantor's death or incapacitation. The trust itself should have criteria to determine whether the grantor or trustee is incapacitated, requiring the successor to act. These criteria may require one or more doctors to state the grantor or trustee cannot manage his affairs. Once the determination is made, the successor trustee can assume the role of trustee without permission from a court. If the grantor or trustee regains the ability to manage his affairs, the successor trustee must step aside and allow the trustee to reassume his role. The successor trustee has some of the same responsibilities regardless of whether the grantor is incapacitated or dies. These continuous responsibilities include communicating with all the beneficiaries and maintaining an impartial relationship with them, prudently investing trust assets to earn interest and upholding the terms of the trust. The duties of a successor trustee differ when the grantor is incapacitated from when the grantor dies. When the grantor of a revocable trust is incapacitated the successor trustee must perform duties regarding care of the trust and grantor, including overseeing the grantor's care, contacting the insurance company, looking over any minors or dependents named in the trust and keeping accurate and detailed records of the trust's finances. These duties may include obtaining outside help from lawyers and advisers to assist with investments. When the grantor is incapacitated, the successor trustee does not need to distribute any of the trust's assets unless the terms of the trust provides for such actions. When the grantor dies, the successor trustee's duties revolve around executing the trust. The duties of settling an estate include inventorying assets, determining the current value of assets, preparing a final accounting of the trust, filing tax returns and making distributions as stated in the trust. If the trust does not dissolve upon the grantor's death, the successor trustee must continue to manage the trust until the trust can be terminated according to its terms.